In traditional cultures it is common that the creative process is a part of rituals. Dancing, singing, myth recitation, body decorating, painting or the production of artistic objects has an essential value for the whole tribe. The tribe connects in this way with the ancestors, gods or spirits, summons abundance, guarantees protection and continuity of the community, heals what should be healed for the individual, the group and the whole planet too. 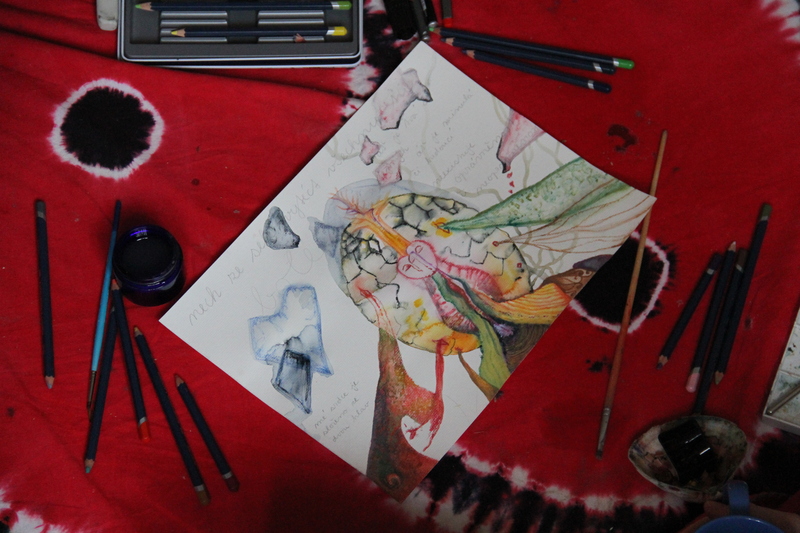 An artistic gifted person is often also a healer, a shaman. In that sense I am a painter-shaman: through paintings I connect with the other worlds. Through paintings I send a message and energy behind the displayed story, shapes and colours. The aesthetic value is for me secondary. I don´t paint realistic portraits, landscapes or still lifes. I paint landscapes of the inner worlds where the laws of time and space do not reign. There is a possibility for insight and interconnection that seems irreconcilable, invisible, unreal. I paint portraits of the soul which are beyond the physical form. The main source of inspiration is then naturally my own interior. The creative process enables me to enter the subconscious and discover what stays hidden in the normal state of consciousness. I like to work with archetypes, mainly from Greek, Hindu and old-Slavic mythology. An emerging multicultural literary-artistic project „Alive Goddesses inside us“ can be found here. Are you attracted to such a painting? Do you wish for a painting which would help you to work with your personality, with a certain emotion or a life situation? A painting which is not just an adornment of the space but also heals with its energy? Write me* your story or story of the person for who the painting is for. If you are interested I can accompany the painting with written word – a prayer, poem or short story. 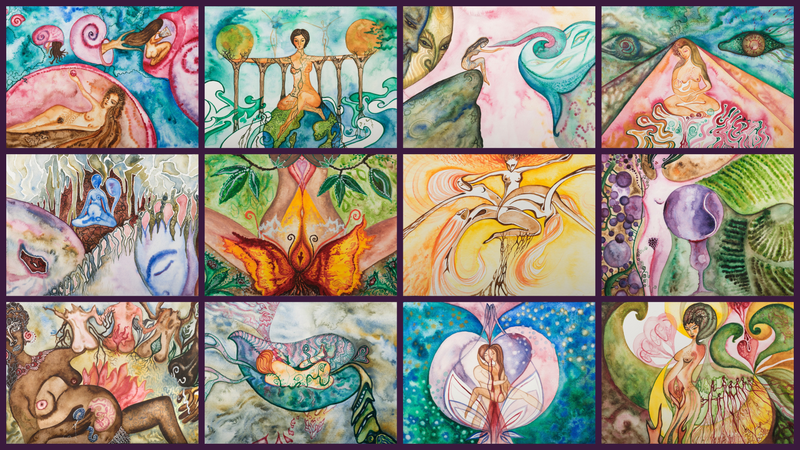 It is also possible to choose a painting from the collection of healing cards „The Ancient Power of Woman“ – I can recreate your chosen topic in any technique you would like with a thought about you (or any other person, emotion, situation..) or you can choose the poster in different sizes. 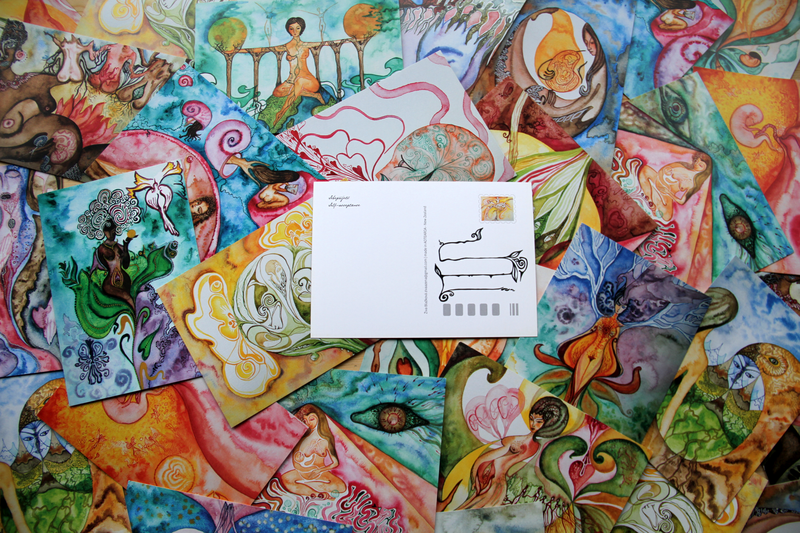 On the menu are also original postcards and calendars 2016. Through creativity I invite you to the soul landscape where intuition reigns. Have you ever asked the painting how it wants to be painted? And colours if they want to be where you suggested? Have you ever tried to paint anger, anxiety, tenderness or forgiveness? 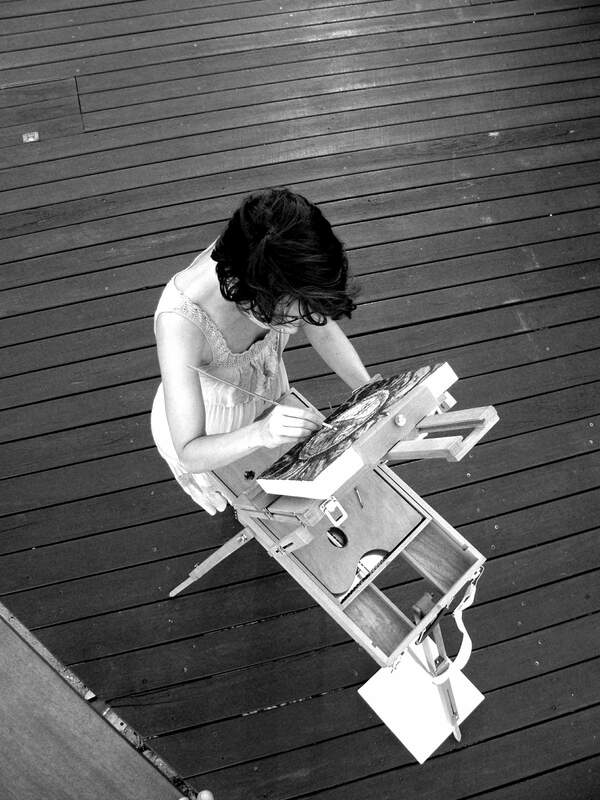 Or perhaps you believe that you can´t paint and that it is only an activity for somebody else, someone more artistically gifted? I would like to invite you to a world where all people have the ability of artistic expression. To a world where rules around aesthetics and form and values do not exist, where the final result is less important than the creative process itself. To a world where creativity is the entrance gate to the human interior – and there is so much of interest to discover. I view the creative process as being like a way to get beyond the mind, to stay in the present. It is a way to find out what is going on in your subconscious, work with emotions, revive the ability of intuitive behaviour and awake the power inside. I offer myself as a guide on this journey for those who doubt they are able to do the first steps on their own or feel they need support to undergo the expedition to the inner world.